This is what the morning looked like after the Capital has its first snow during the night before. 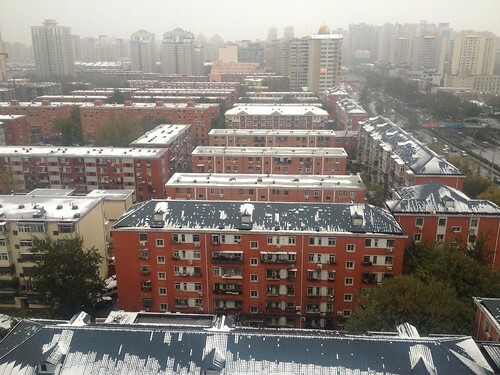 Despite the fact that it was 4 degrees Celsius in the morning, you still get snow even though temperature is above zero. Well, that explains the very wet floor at ground level and given how dirty and dusty the Capital is, the soggy floor was really yucky. Still, the snow cap buildings and cars made a nice scenery to see in the morning.